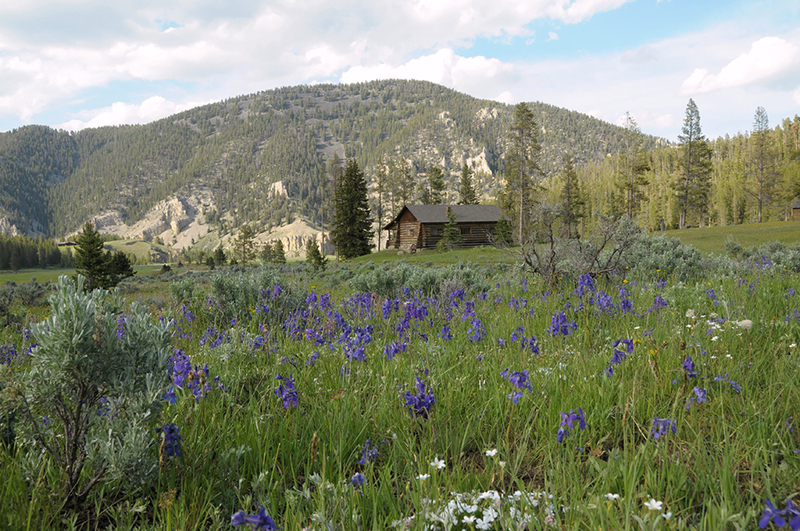 Life at Elkhorn ranch is focused on the outdoors, but you'll love your private cabin accommodations built with materials sourced from the ranch. The fifteen original guest cabins complement the values of the Elkhorn Ranch: rustic comfort, hospitality, and appreciation of natural surroundings. 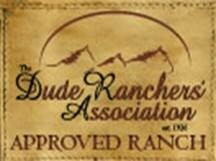 You'll enjoy coming home from a long horseback ride to recuperate and relax on your own porch, where you can breathe easy in the fresh air or settle down with family or new friends. 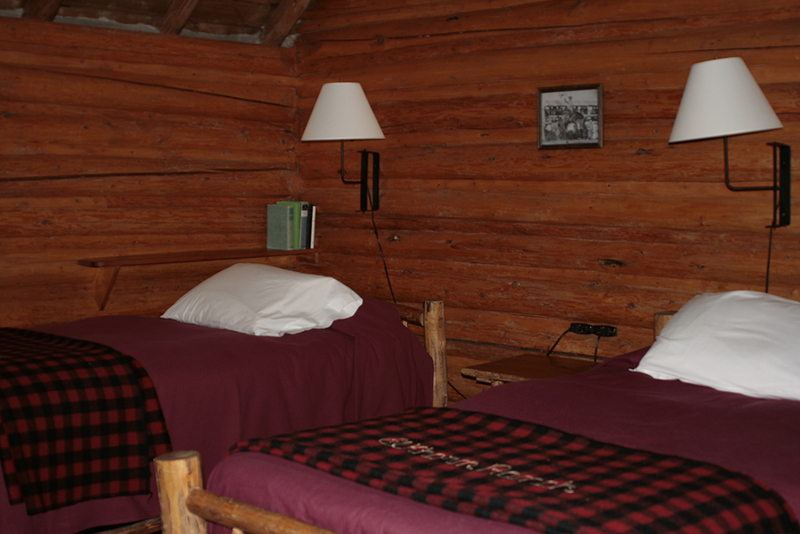 These authentic, historic log cabins were built mostly in the 1930s, along with their hand-hewn log furniture. The occasional squeaky floorboard under a colorful rug adds to the charm. You'll enjoy modernized private bathrooms, many of which have clawfoot tubs with showers. 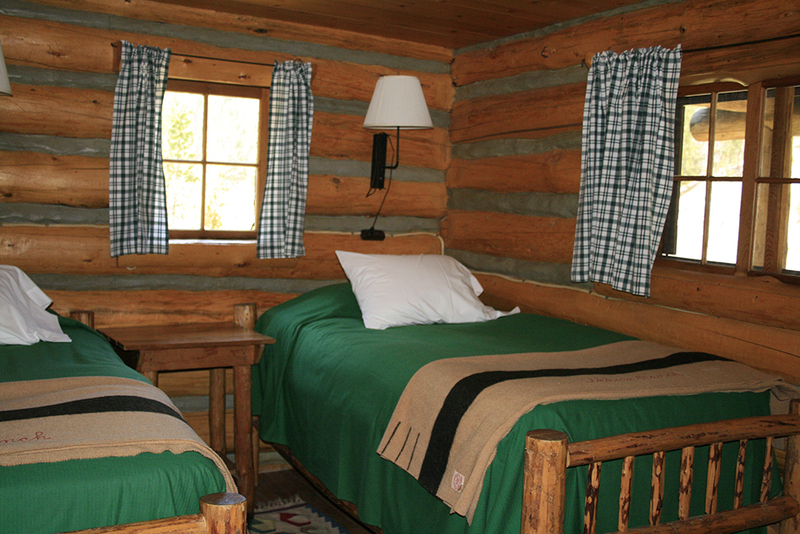 Comfortable beds complete with down comforters to keep you warm through the refreshing mountain nights. And electric heat that complements the wood stoves we light for you to take the chill out of the morning air. Private cabins sleep up to 8 guests. Porches on each cabin offer a place to mingle and relax. 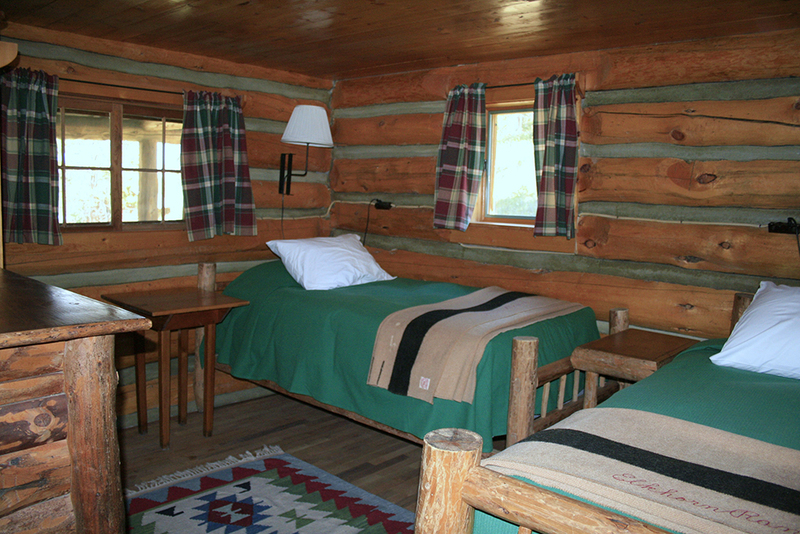 Modernized rustic log cabins are comfortable and cozy. Daily cabin service and nightly turndowns make you feel pampered. Hand-hewn log furniture adds to the rustic charm. Colorful rugs adorn locally sourced wood floors. Bathrooms with tubs and showers in each cabin. Pure, cold, deliciously untreated spring water flows from your taps. Wood stoves we light for you take the bite out of cool morning air. Electric heat in the bathrooms supplements the wood warmth. Reading lights on the beds help you relax with a good book. NO phones, TVs, or Wi-Fi in cabins (Phones/Wi-Fi available at office).